Despite being a relatively minor upgrade, the iPhone 5S is selling better than its predecessor, the iPhone 5, did. That's what's inferred by some new stats released by Fiksu, which has been keeping an eye on "millions of iPhones" using its clients' apps (Fiksu offers app marketing and counts Coca Cola, Groupon, Zynga and Disney among its clients). The stats show that in the 69 days since the iPhone 5S hit the shelves, it has taken over 7.98% of all iPhone usage. 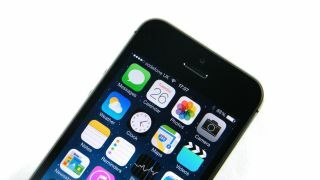 The iPhone 5 only managed 6.94% in its first 69 days. As for the iPhone 5C - well, let's not even talk about the iPhone 5C languishing on 2.78% on day 69. The findings also show that the majority of iPhone owners now are rocking iPhone 5 handsets but that has dropped slowly over the last few months as people upgrade to the iPhone 5S. Interestingly, 2.1% of the iPhones tracked by Fisku are pre-iPhone 4, which means there are some people out there still working their iPhone 3Gs. Respect. The same firm is also tracking iPad uptake, and the iPad Air is flying by Fisku's reckoning, with 2.8% of iPads now Airs after just 27 days on sale.